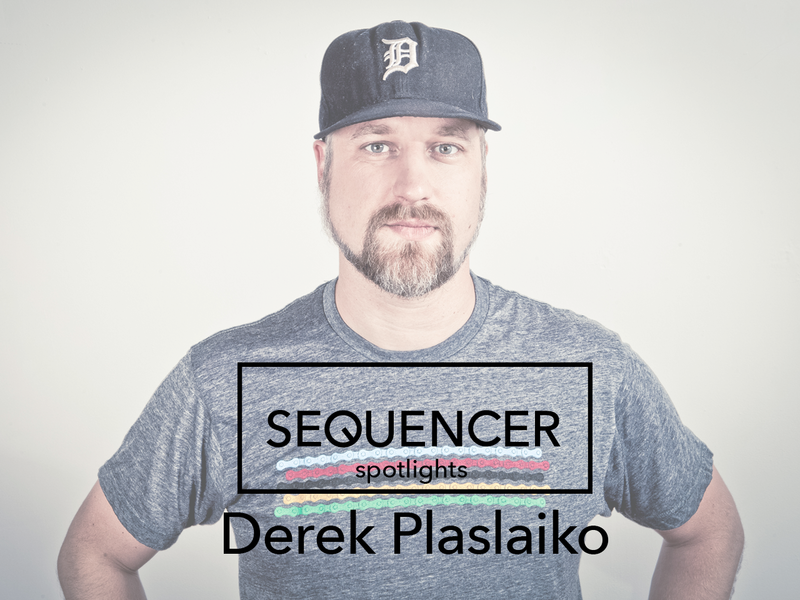 There is an undeniable passion that drives Derek Plaslaiko, a Detroit native who calls Berlin home base. With more than 20 years of touring internationally, playing extended sets, and producing tracks – in addition to balancing family life – he continues to grow as a beloved head in the scene. Growing up just 20 minutes outside of Detroit proper, Plaslaiko’s youth was spent exploring and becoming heavily involved in the city’s circuit. He got his start around 1994 when Detroit’s house and techno scene was on a heavy up and he became crucial to both the Analog and Poorboy Parties, along with comrade Mike Servito. An experience that really brought him into the realm was picking up a job at Record Time. Opened in 1983 by Mike Hime, the acclaimed music shop was a staple for local music lovers. With a couple different locations it became a place where many would converge to explore and discover the multitude of local sounds and music from abroad. The shop was influential in many facets for young Plaslaiko as his passion for music began to transform. “Working there was incredible! Both locations were phenomenal. This music was a lot harder to come by back then. So, working at the source really helped shape my musical tastes. Not to mention working around Mike Huckaby,” he says. His employment at Record Time helped him earn his weekly residency at Family. Held at the pivotal Motor club tucked away in Hamtramck, this venue played an important role for the scene’s growth and was one of the longest running clubs in Detroit. Jason Kendig and Jeremy Christian were original Family residents. One night at a party in 1998 Plaslaiko found out Christian was leaving his spot and the event’s promoter Adriel Thornton had an opening to fill. Plaslaiko took to the helm and was a regular there for the next four years or so. It was this residency that convinced Carl Craig to ask him to play the inaugural Detroit Electronic Movement Festival [DEMF], which eventually transitioned to be known today as Movement. Throughout the years he has found himself playing the annual festival, other parties throughout Memorial Day Weekend and as a resident he can always be found at the otherworldly after-party No Way Back. That is of course with the exception of 2014 when he basically took the year off from DJing altogether with his son’s birth just four months prior. Regardless, experiencing basically every year since the millennium he has seen the festival’s evolution, which is now a pilgrimage for music lovers from around the globe. In the summer of 2004 he needed a change of scenery and moved from Detroit to New York City. Eventually he met Bryan Kasenic and went on to become a now 10-year resident of The Bunker parties. During time spent in the city he started producing; his debut output xoxo, NYC was a 12″ released in 2010 through Perc Trax. During that same year, he packed up again to move to Berlin and has since remained. In 2011 he spent a summer residency at Club der Visionaere and frequents the notable and legendary Tresor and Berghain/Panorama Bar among many others in Germany. Although Berlin remains home he continues to travel extensively playing festivals such as Dimensions in Croatia, Communikey in Boulder, Harvest Festival in Toronto and Decibel in Seattle. He’s shared his music at beloved venues such as Smart Bar, Hot Mass, Good Room for The Bunker, Marble Bar – the list goes on and on. Still, he maintains his traveling lifestyle as a DJ and balances life at home with his wife Heidi and his son Elliot. Such dedication is no easy feat and I find incredible appreciation for people who are so passionate about their music and are still growing a family. Someone else whom I admire for exactly that is Chicago’s Sam Kern, otherwise known as Sassmouth, who is also good friend of his. I couldn’t help but wonder what sentiments parent DJs must share with one another. For the last stop on his tour he will hit Rochester, NY for the first time at Signal > Noise, which has seen the likes of The Black Madonna, Claude Young, Norm Talley, Mike Servito and more. For a man with more than 20 years of dance floors under his belt he has seen a variety of spaces and crowds. I inquired about his reflections on small city scenes.